Wow your audience with a captivating and attention-grabbing 20ft display! 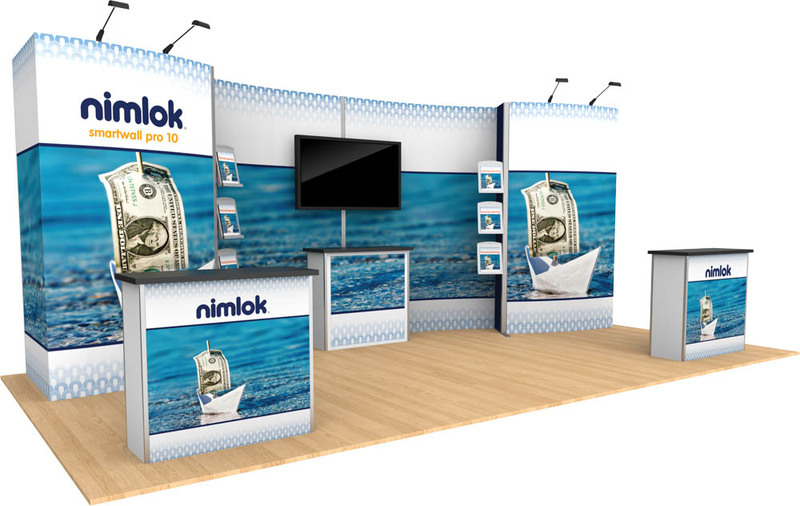 Nimlok 20ft trade show displays and exhibit booths feature top-notch quality construction, graphics and finishes. They set-up quickly, display branding messaging easily and look fresh and cool. 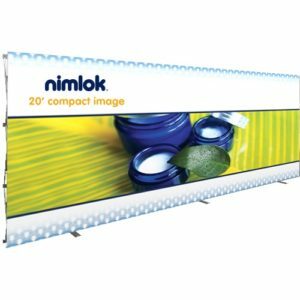 Nimlok Online offers a variety of portable 20ft displays to suit and work in any tradeshow, event or corporate setting. Image Pro tension fabric display systems feature a collapsible straight silver frame and support a fabric graphic that attaches by simply pushing the graphic into a thin channel. The simplicity and ease of set-up make this system ideal for use at fairs, trade shows and more. Simply open up the lightweight frame, attach the magnetic bars to support your graphics, add on the lights and you are ready to go. The durable wheeled transport case even transforms into a counter for use with your display. 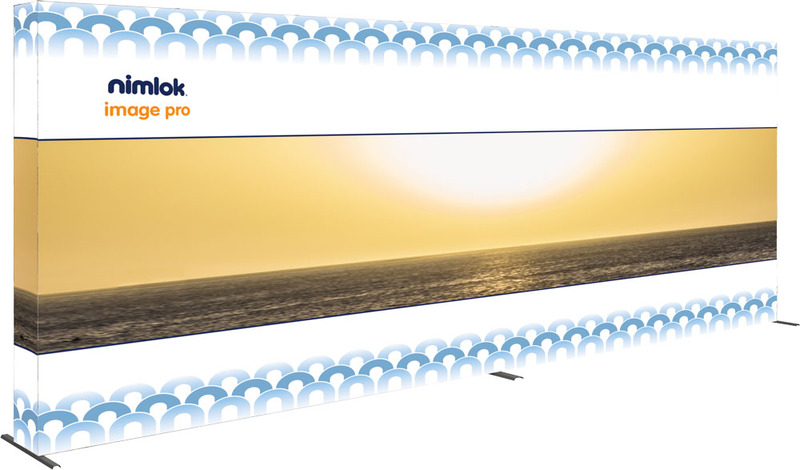 Step your SmartWall game up a notch with a SmartWall Pro display! These displays feature durable aluminum frames and push-fit fabric graphics for a stylish, long-lasting exhibit. SmartWall Pro incorporates shelving, monitor mounts, literature racks, counters, tablet holders and more so you are sure to find the perfect exhibit solution to meet your trade show and event needs.